Get to know us Golding’s Gardeners has been around since 2014 and is the creation of Josh Golding. Aside from his own experience in gardening and landscaping, the Golding family has been working in these areas for many years . 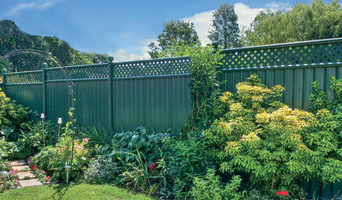 Golding’s Gardeners guarantees excellent customer service in combination with competitive pricing. We want to make sure that our customers get the attention to small details that they deserve. Landscape design is about the small details, and this is why we strive to offer the highest quality of service. A professional gardening service with a personal touch, this is what you can expect from Golding’s Gardeners. We specialise in: fencing in Bristol, landscaping in Bristol and Patios in Bristol. We make sure that our passion, skill, and knowledge translates into a beautiful design that you can be proud of 365 days of the year. WHY CHOOSE US? We have many repeat customers who are unhappy with the previous service that they have received from many of our competitors. We make sure that we offer a professional approach with every step of the process. Whether you need Fencing in Bristol, Landscaping in Bristol or Patios in Bristol, here at Golding Gardeners, we do it al! This means using our expertise and knowledge to inform you about the best options for your garden. We are passionate about what we do. By opting for high-quality craftsmanship and components, it means that we are capable of bringing sustainability and creativity to every job. By offering high-quality gardening services, we want to exceed the expectations of our customer. At the same time, we strive to make sure that we offer a quality service at a fair price. This is what you can expect from Golding’s Gardeners. Garden Fencing to be Proud Of We believe that Colourfence is the best garden fencing product on the market today, and not only is our product great, our service is too. We give you attractive fencing that remains fit for purpose without costly and time consuming annual treatments, guaranteed for 25 years. Our durable garden fencing panels are guaranteed not to rot, warp or peel for 25 years and can withstand wind gusts up to 130mph giving you real peace of mind whatever the weather may throw at us. We offer national survey and fitting services via our network and strive to give value for money and publish our prices for all to see. We offer a free, no obligation design, installation & quotation service. We do not employ high pressure sales tactics but leave you time to consider the prices we have quoted at your leisure. Style - available a range of colours and designs to compliment any garden environment, both sides are identical making Colourfence the most attractive garden fencing solution for you and your neighbour. Low Maintenance -Colourfence never needs treating or painting, just the occasional hose down to keep your fence looking as good as new. Durable - manufactured from Zincalume high tensile steel and is fully engineered to be light weight yet extremely strong and durable. Secure - in heights of up to 2.1m, wuth a unique design that locks the panels into the post and rails. We have a full range of lockable gates too. Value – we cannot and do not try to compete on price with inferior lap panel installations but a Colourfence fence can cost you less than you might think and has no ongoing maintenance costs. Andrews Paint Stripping is Bristol's leading Paint Stripping and Restoration provider. Our experience, knowledge and customer focus ensure the very best service and results for all your paint stripping and restoration needs. 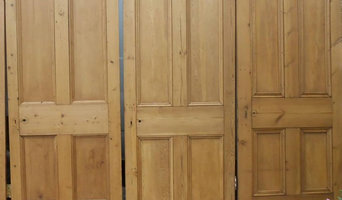 At Andrews Paint Stripping we specialise in stripping doors, pine furniture, shutters, window frames, skirting, spindles, architrave, cast iron fireplaces, radiators and gates to name but a few. Our speciality is large items (up to 15 ft) due to the size of our tanks i.e. garden furniture, dressers, blanket boxes and chests of drawers. Andrews Paint Stripping provides a full sanding, waxing and finishing service. We provide a 48-hour return on external doors and offer a collection and delivery service. Additionally, Andrews Paint Stripping buys and sells doors and fireplaces. Please take a look at our eBay page or call us for further information. Please feel free to call or email us anytime for a free, no obligation quote. Our friendly staffs are always happy to help and advise. As members of the Building Safety Group, ASP Fencing Ltd give you spectacular gates and railings for your home and business in Bristol. At the same time you get the peace of mind that you are dealing with a professional and reliable company. We have over 30 years' experience in supplying, erecting, and maintaining gates and railings in Bristol and across the South West. From stock fencing to gates and turnstiles ASP Fencing Ltd can supply and install the perfect product for your needs. Choose wrought ironwork specialists that you know you can trust If you are looking to enhance your property or increase your security with some top quality railings, gates, security grilles and more, you can count on WH Welding to deliver. You can benefit from our wealth of experience by taking advantage of the great range of services that are on offer. Whether you would like to add value to your property with gates and railings or simply want to have a new staircase installed, we eagerly await your call. Everything can be designed to your specification and can be galvanised and painted to meet your requirements. 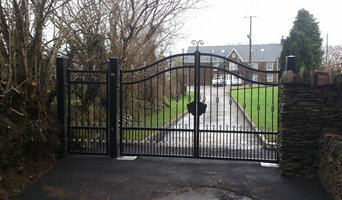 Lloyds Fabrications based near Cardiff, Gwent, South Wales manufacture and supply a range of automatic electric gates, wrought iron gates and galvanised steel gates. Other products include railings, balustrades, palisade fencing, window and door security grills. Lloyds Fabrications have a long history in the steel fabricating and wrought iron business. Our automatic electric gates as with all our work come galvanised and painted as standard. Sedgemoor Fencing is a family run business which provides a friendly and reliable service, we take pride in our work and always put our customers first. We have been trading for 4 years and have many happy regular customers. We have been vetted and approved by the trading standards to ensure we trade fair and legally. We provide a professional and affordable Commercial Grounds Maintenance, Fencing & Landscaping service. Our aim is to offer an affordable solution for your exterior projects and maintenance of your property, to improve not only the look of your property by restoring the area to its original splendour, but also to maintain to keep it looking it's best. All are service are available for one off jobs or regular maintenance, we aim to cause minimal disruption. A professional, honest and relaible company who offer fencing installation, maintenance and repairs. Premfence has a simple vision; to create beautifully crafted fences that reflect each homes individual personalities, working with you to understand the different options available, whilst being value for money. Voted Bristols best fencing company 2 years running. 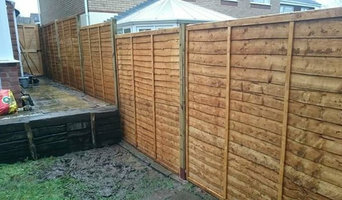 By hand picking the best materials available, Premfence are able to offer a fencing service that stands the test of time at great affordable prices. We work with you to understand your needs and concerns and offer a solution that you will be as happy with as we are delighted to install. The same applies to gates, which are even harder to build and install yourself, unless you are a practised carpenter, craftsman or builder. So if you want one-of-a-kind fence and gate designs that can be fitted by professionals, or perhaps just fence repair, then you should take a look at the Bristol gate manufacturers and fencing contractors listed on Houzz. With Houzz you can browse through gate manufacturers and fencing contractors in Bristol to find a professional to work on your project. Check reviews, recommendations, ratings and photos of their previous work to decide if you want to contact them about your fence or gate. Gate and fencing contractors in Bristol will be able to advise you on the best materials to use and how to look after your fencing. Aside from designing, building and installing your fence or gate, a specialist may also offer fencing supplies, materials and fence repair services which will help you maintain your bespoke fencing and gate designs. Whether you are looking to build a traditional wood panel fence, commission an elaborate wrought iron gate, want a quaint white picket fence or a large, electric gate to shield your home from public view, you’ll be able to find Bristol gate or fencing contractors on Houzz that have the specialist expertise to carry out the job. You may find that gate and fencing contractors also work closely with lawn and landscape professionals. Here are some related professionals and vendors to complement the work of fencing & gates: Wrought Iron Workers, Decks, Patios, Sheds & Summerhouses, Cladding & Exterior Contractors, Landscape Contractors, Landscape Architects & Garden Designers. If you already have some garden fencing ideas or even gate designs, then discuss these with your potential fencing contractors to see if they can become a reality. 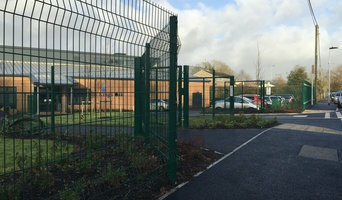 You may find they have to be tweaked slightly, perhaps due to budget, space or Bristol planning restrictions, but good fencing contractors will be able to come up with a compromise to meet every need or constraint. Find gate and fencing contractors on Houzz. Narrow your search in the Professionals section of the website to Bristol gate and fencing contractors. You can also look through Bristol photos to find examples of fencing and gates that you like, then contact the contractor who worked on them.